Starting a business in Dubai involves understanding the difference between mainland, free zone and offshore company formation. Followed by that you need to choose a license based on the activities and services you wish to provide. The above tasks may sound like a lot of work – and indeed they can be. 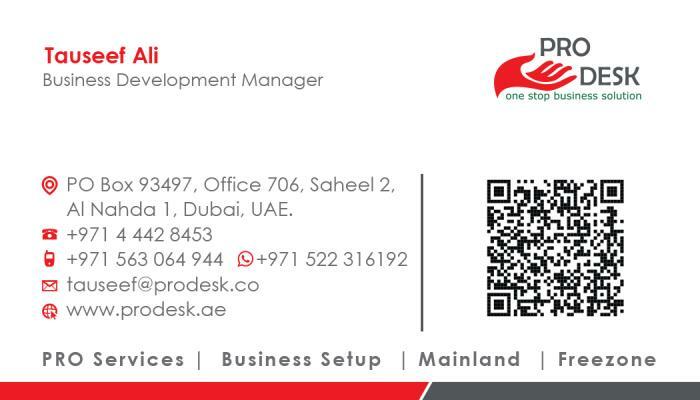 Which is why PRO DESK business set-up consultants in Dubai will manage all the heavy-lifting, meaning there is no need for you to visit countless government authorities to get the job done. And it all starts with a free, no-commitment consultation where we will take you through all the latest information on how to start a business in Dubai. Company formation in Dubai is made easy with PRO DESK. Get in touch with us today to get started on your entrepreneurial dream.